"Dear Santa, trust me bro, I've been good"
Kids write the darnest things. Our kids are told to be good all year round but at Christmas-time they actually listen, because we’ve pretty much imprinted on them that they'd “better watch out” and they'd “better not cry”, because Santa Claus is coming to town. In December they make a certified effort not to be on the naughty list as they start flipping through the pages of the latest toy catalogue. And some even write a little letter to Santa reassuring him that they’ve been nice, accompanied by a list of everything they’d like to see under the tree on Christmas day. Their innocence and, dare I say, honesty, makes for pretty amusing letters. We thought we’d share a few of our favourites with you. This year is going to be sooo hard (“turn page, Santa!”) #dearsanta?? #christmasletter #christmas #letterina #natale???? Also read: Our 2017 Christmas gift guide your kids will love! Also read: Is Christmas fever leaving you out of breath and out of pocket? What are your kids asking for this Christmas? 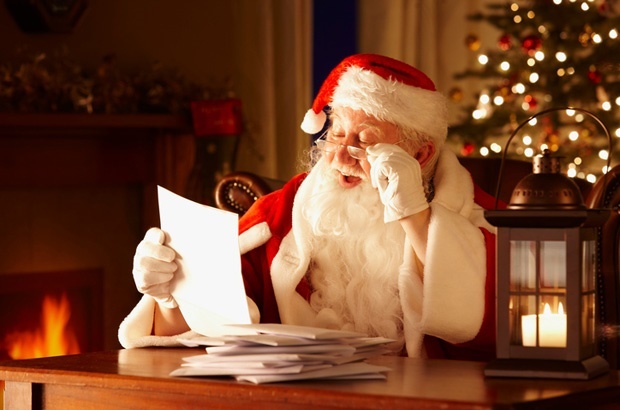 Send us your kids' letters to Santa by emailing to chatback@parent24.com and we may publish them.